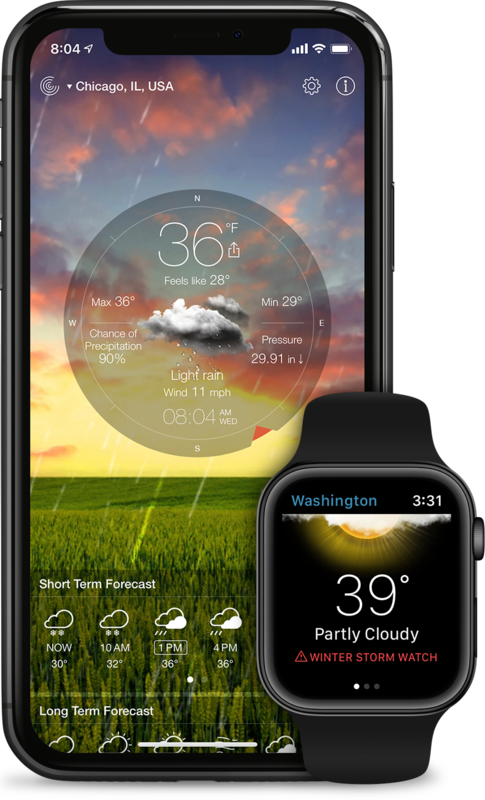 Weather with beauty and precision, designed for a comfortable and customized experience. Available on Apple Watch®. Current weather conditions and extended forecast for your city and multiple locations around the world brought to you in a beautiful and innovative way - with true-to-life animated weather scenes! 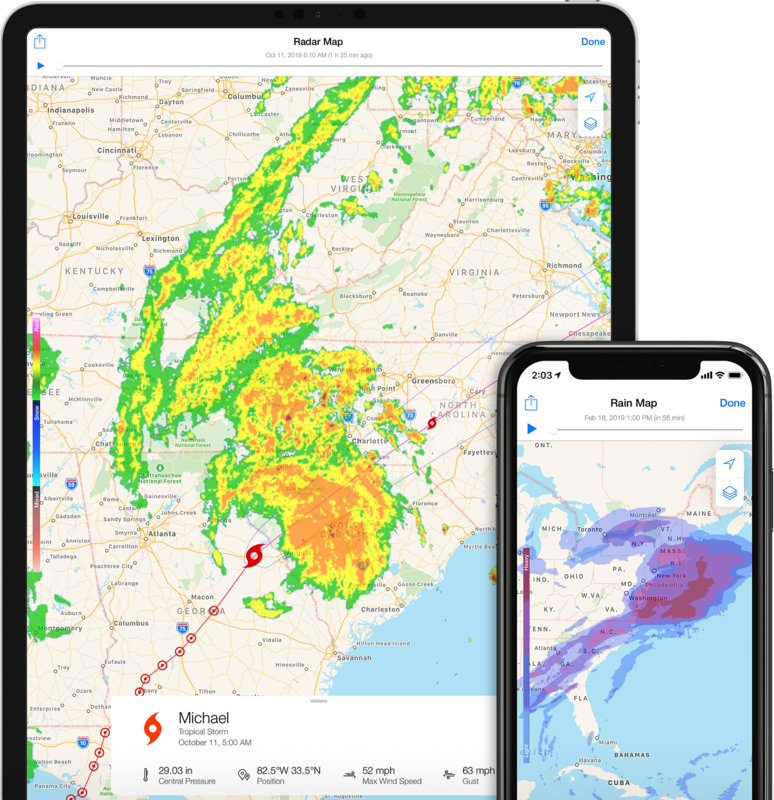 Go beyond traditional forecasts with advanced weather maps (Radar, Rain, Cloud, Satellite) and Hurricane tracker.